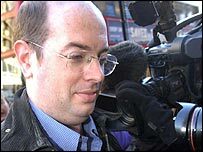 The Hutton report found clear faults at the BBC, but refused to comment on many other aspects of the inquiry. Lord Hutton said the validity of the Government's claim that Iraq had WMD ready for use was outside his remit. And he said doubts about Andrew Gilligan's evidence made it impossible to determine the truth about his interviews with Dr Kelly. The report also refused to comment on the Foreign Affairs select committee's grilling of Dr David Kelly. Lord Hutton said he was not in a position to judge the accuracy of key claims in the Government's dossiers on Iraq's WMD. "Future discoveries or the absence of discoveries" will show whether the claims were based on correct intelligence, Lord Hutton said. His report went on to say: "The question whether intelligence approved and provided to the Government by the JIC was reliable is a very important question." However, he said, it was "an issue which does not come within my terms of reference and on which I express no opinion". Lord Hutton also noted reports that the claim that WMD could be deployed within 45 minutes related to battlefield munitions, not strategic long-range weapons. Again, Lord Hutton wrote: "A consideration of this distinction does not fall within my terms of reference." He did, however, quote an Intelligence and Security Committee report that stated: "The fact that it was assessed to refer to battlefield chemical and biological munitions ... should have been highlighted in the dossier." "The omission of the context and assessment allowed speculation [that] was unhelpful to an understanding of this issue," the ISC report continued. 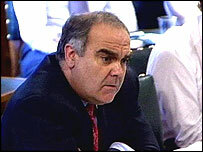 Lord Hutton said he was left in "considerable doubt" about the reliability of BBC reporter Andrew Gilligan's evidence. On those grounds, he said, he was "unable to come to a definite conclusion" about whether Mr Gilligan's account of variations in his notes was correct. But Lord Hutton said it was likely Dr Kelly had told Mr Gilligan that Alastair Campbell was involved in the insertion of the 45-minute claim. And he said it was possible Dr Kelly said the claim had been inserted "to make it sexier" - although probably only in response to a leading question from Mr Gilligan. However, he said, there was no evidence Dr Kelly had said the Government knew the 45-minute claim was wrong, or that the claim had been inserted late because of intelligence officials' doubts. Labour MP Andrew Mackinlay's robust questioning of Dr Kelly before the Foreign Affairs Select Committee (FAC) - in which he called Dr Kelly "chaff" and "a fall guy" - "gave rise to criticism from some members of the public", Lord Hutton noted. And he pointed out that Liberal Democrat MP David Chidgey's questioning of Dr Kelly was clearly influenced by an email from Andrew Gilligan giving details of Dr Kelly's interviews with BBC reporter Susan Watts. But he said: "The Bill of Rights provides that the affairs of Parliament (which includes the proveedings of a Select Committee of the House of Commons, such as the FAC) should not be commmented on other than in Parliament." "Therefore it would not be proper for me to express an opinon on the way in which Dr Kelly was questioned before the FAC." He noted, though, that the Commons' Liaison Committee has decided to review the workings of select committees following the incident. 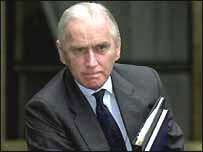 Lord Hutton made it clear that he believed Dr Kelly took his own life, and that no third party was involved. But the report noted: "It is not possible to be certain as to the factors which drove Dr Kelly to commit suicide." Psychiatrist Professor Keith Hawton had told the inquiry that Dr Kelly had been driven to suicide by "severe loss of self-esteem" and "dismay at being exposed in the media"
Lord Hutton said it was "very probable" that Prof Hawton's assessment was correct.